A version of this article first appeared in Tradegood Viewpoints 27 February 2013. Many in the United States are now predicting a renaissance in U.S. manufacturing, as a growing number of big name companies and SMEs bring their overseas operations back to the U.S. President Obama has called for a new era in U.S. manufacturing as a way to create more American jobs. So is the resurgence of “Made in the USA” reality or hype? The decline of U.S. manufacturing is a well-known tale, a victim of larger forces that sent thousands of American jobs overseas. The perpetrators were many, but the spread of global trade, the internationalization of key industries, and the rise of Chinese cheap labor were perhaps its most devastating, silent killers. 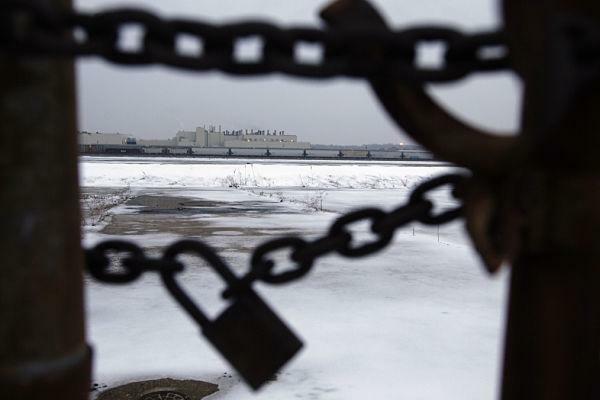 The loss of six million manufacturing jobs and the shuttering of thousands of factories in the U.S. over the last decade rang the final death knell of a golden era in U.S. manufacturing — so many had thought. But just like in the 1990s, when U.S. industry adapted to new global realities that led it to dominate the world in such high-value industries as microchips, aerospace, networking equipment, and software, we may now be witnessing yet another comeback of U.S. manufacturing, what some see as a “manufacturing renaissance,” although it is likely to come in drips and drabs, rather than a flood. After a 35 percent drop in manufacturing jobs between 1998 and 2010, numbers have risen by almost 500,000, or 4.3 percent, to close to 12 million workers, equivalent to nine percent of the total workforce. Much of that is due to the U.S. recovery, but the trend is undeniable. Manufacturing jobs are expected to rise 3.2 percent in 2012, compared to 1.6 percent for all U.S. jobs. Despite the earlier losses, the U.S. is still the world’s largest manufacturing economy, producing 18.2 percent of global manufactured products, according to the World Bank. The rebirth of U.S. manufacturing obviously has many drivers, but a major component is the growth of “reshoring,” bringing back jobs from overseas, particularly China. According to the Reshoring Initiative, a nonprofit campaign to return manufacturing to the U.S., at least 25,000 manufacturing jobs have found their way back to the U.S. over the past several years. While those numbers are miniscule, the campaign believes they represent the beginning of an upsurge as companies recalculate the costs of producing overseas. One recent survey of 105 American companies carried out at MIT found that 39 percent were considering moving some manufacturing back to the U.S. And the evidence gets stronger. A landmark study by the Boston Consulting Group (BCG) in 2011 concluded that, by around 2015, for many goods destined for U.S. consumers, manufacturing in some regions of the U.S. would be as economical as manufacturing in China. BCG assessed that China’s manufacturing cost advantage over the U.S. was shrinking fast, and that within five years, rising Chinese wages, higher U.S. productivity, a weaker dollar, and other non-cost factors would reduce the gap for many goods sold in the U.S. Indeed, many big name U.S. firms, and some not so famous, have recently made the voyage back to U.S. shores. BCG predicts that more U.S. companies will begin raising capacity in the U.S. to supply the North America market, and while the reallocation of production is still in its early stages, the trend will only accelerate in the years ahead. Caterpillar Inc., for example, announced in 2011 the expansion of its U.S. operations with the construction of a 600,000 square foot hydraulic excavator manufacturing facility in Victoria, Texas. The plant is expected to employ more than 500 people. The company said it was attracted to Victoria’s proximity to its supply base, access to transportation, and its favorable business climate. NRC Corporation announced in 2009 that it was bringing back production of its ATMs to Columbus, Georgia to cut time to market, increase internal collaboration, and lower operating costs. Toy manufacturer Wham-O Inc. decided in 2011 to return 50 percent of its Frisbee production from China. Ford Motor is bringing back up to 2,000 jobs following a favorable agreement with the United Auto Workers that allows the company to hire workers at $14 per hour. And the Coleman Company is moving production of its 16- quart wheeled plastic cooler from China to Wichita, Kansas, due to rising Chinese manufacturing and shipping costs. 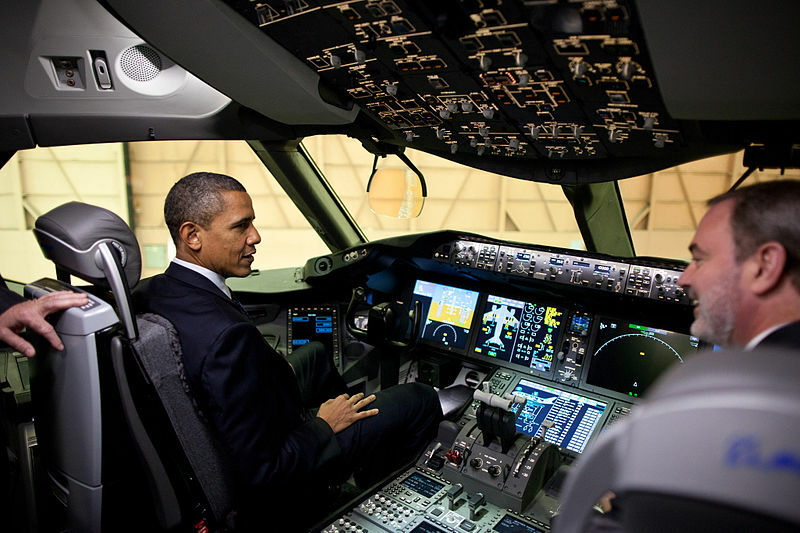 The list goes on and includes other big names such as Whirlpool, Otis Elevator, General Electric, Intel, and Master Lock whose factory President Obama visited in February. The experience of one Florida small business owner highlights why lower labor costs in China are no longer enough to keep U.S. companies overseas and why “Made in the USA” offers unexpected new markets at home, and at higher margins. Sleek Audio, a maker of in-ear headphones for audio devices such as iPods and iPhones, decided in 2007 to launch its first product. 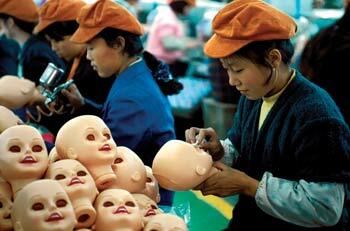 Due to lower costs in China, it was a no brainer to contract with a factory in Guangdong. But three years later, the company regretted the move and returned to the U.S. Its owners say they were simply fed up with the array of problems in doing business in China — low quality, extensive travel, poor communications, shipping delays, and a ruined shipment that almost broke the company. Now back in the U.S., the company says it can more easily oversee quality control and production schedules. Moreover, the U.S. recession has lowered costs, created pools of willing workers, and generally made it easier to manufacture in the U.S. While the company’s U.S. costs are 15-20 percent higher than they were in China, its redesign of its products and the use of U.S.-made high-end aluminum, titanium, and special carbon fiber reward it with a higher sticker price in an upscale market. Sleek Audio’s experience is emblematic of the type of scenarios that bring U.S. companies back to America. The BCG report notes that the same forces that drove U.S. firms overseas are now pushing them to take another look at the U.S.
For starters, the rising cost of labor in China and the appreciation of the renminbi are conspiring to make Chinese-made goods more expensive. At the same time, falling wages in the U.S. are making U.S. labor more competitive. Rising shipping costs, concerns about lengthy production schedules, and the risk of intellectual property theft are additional factors making U.S. firms think twice about China. Perhaps most important is that, while American workers may cost more per hour, they are more efficient. With the help of sophisticated manufacturing processes, U.S. productivity is now about three to four times higher than China’s. The BCG report highlights that for goods in which labor is around 25 percent of the cost, China’s cost advantage will decline to a mere 10 percent by 2015. When that happens, appliances, computer equipment, furniture, machinery, plastic, rubber and the like will be good candidates for reshoring. According to one supply-chain expert, products that are most likely to be reshored are heavy and bulky items for which shipping costs are high in relation to price, such as machinery. Expensive items subject to frequent changes in consumer demand for certain colors or styles, such as high-end clothing, are also well suited for the “Made in the USA” label. Experts recommend that American companies undertake a rigorous, product-by-product analysis of their global supply networks that fully accounts for total costs, rather than just factory wages. For many products sold in North America, the U.S. could turn out to be a more attractive option, while China will continue to be a base for more labor-intensive production or for products destined for the Chinese market. There’s a saying in the U.S. that all politics is local. The same can be said for “Made in the USA,” as many state governments have started offering aggressive incentives to attract investment. 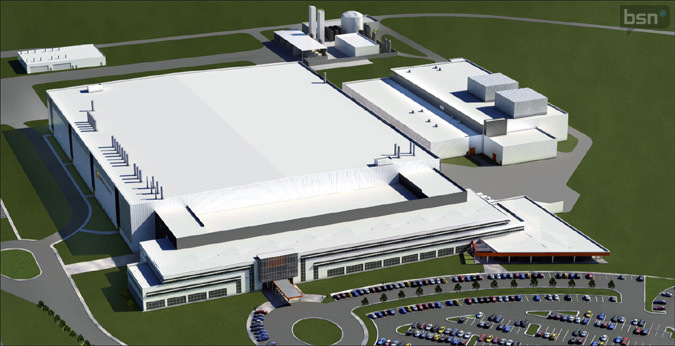 For example, GlobalFoundries is receiving $1.3 billion in cash reimbursements and tax breaks from the State of New York to build a $4.2 billion state-of-the-art silicon-wafer plant. While subsidies are not the deciding factor in where to invest, they can make decisions easier when other cost factors are shifting in favor of the U.S.
“Made in the USA” products are also tapping into growing “buy local” attitudes in the U.S. Two non-profit groups, New York’s Pratt Center and SFMade, have formed the Urban Manufacturing Alliance whose goal is to support local manufacturing in American cities. Because “buying local” can have its limits, the Alliance is promoting branding as not just a location, but also a level of quality, particularly in products that are high-end, limited edition, and can’t be found anywhere else, such as Timbuk2 bags made in San Francisco or upscale clothing made by American Apparel in Los Angeles. “Made in the USA” also seems to be attracting a higher-income consumer. American Express reports that three out of four higher income earners surveyed prefer U.S. made products and two-thirds actively try to buy brands that are made at home. The reason? There’s a strong belief that “Made in the USA” stands for the highest quality.